Damian began his career apprenticing on building sites in the mid 1970’s, progressing through to a site subcontract foreman, before returning to study Architecture at the Advanced College, under visionary local Architect, Barry McNeill. 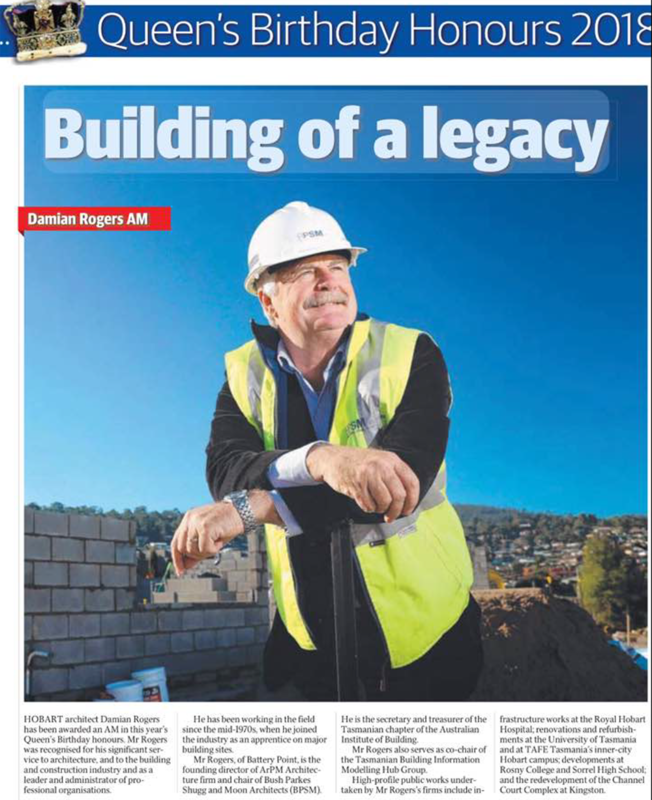 Damian joined the Australian Institute of Building (AIB), whilst working for construction company, Hansen Yuncken, in 1988, and has served as a Chapter Council Member, President, and today as the Tasmanian Chapter Secretary of the AIB. Damian joined BPSM Architects as a Director, in July of 1995, where he has been involved with the design and project management of numerous high-profile projects. Damian is also a founding director of ArPM. Past State Chairman, Building Design Professionals. Below is an article from The Mercury, 11 June 2018.